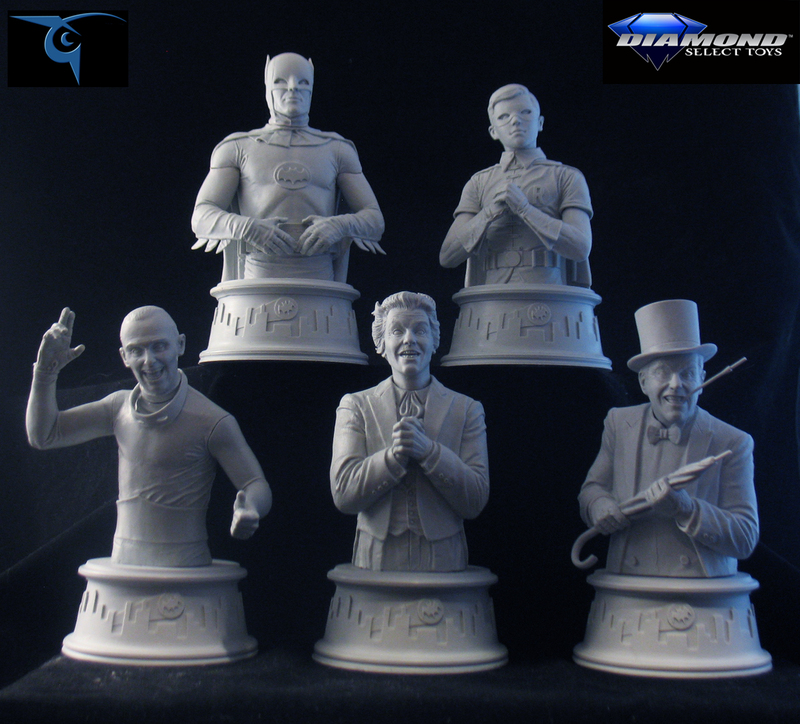 It’s the fourth installment of BUILDING BATMAN ’66, our series that gives you a peek behind the Bat-curtain at how Diamond Select creates their busts and banks (which really just look like larger busts). 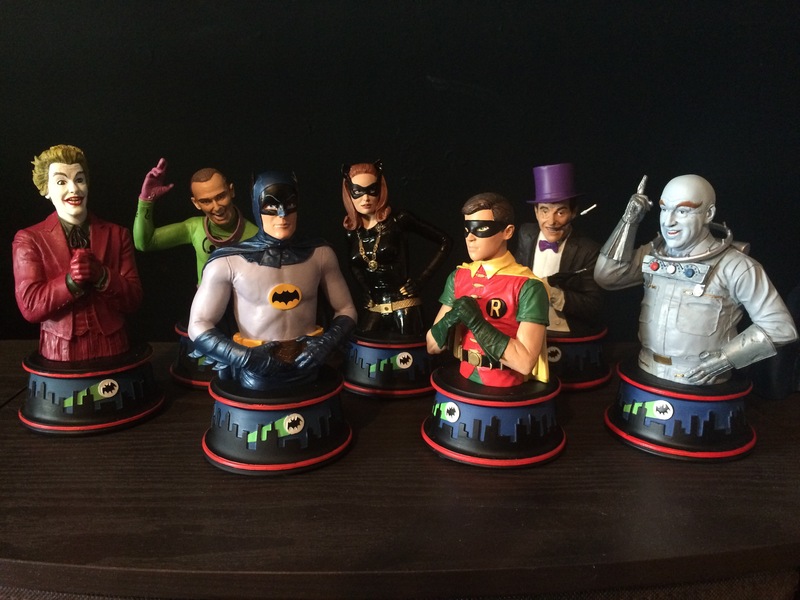 Barry Bradfield: Once we decided what Batman was going to be, then this just had to be Robin’s pose. It’s classic Robin! If we had put Batman in an action pose then Robin would have most likely been a mirror image of that pose. The same problems of stiff action would have risen though. I think the fist-in-hand pose is just too iconic not to capture for Robin though. It’s great how Batman and Robin would each have stances like this when in conversation with Gordon and O’Hara. 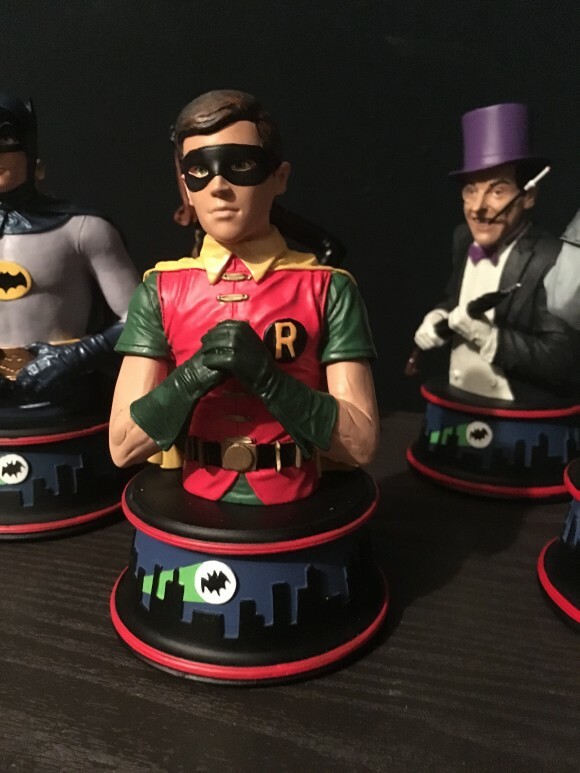 I would have liked the Batman bust to be in the arms-crossed-in-front-of-his-chest (position) to match this Robin more, but then he’d be blocking the iconic logo on his chest. Jean: Ideally, I wanted to represent the exuberant teen sidekick I loved on the show, and the Boy Wonder smacking his fist into his hand was his typical gesture. Barry was already on the same page with his design. Dan: How did you pull off the detail of Robin’s outfit? Barry: Reference. Lots of reference. Unfortunately the Blu-ray release was not out at the time I was designing them, so the finest of details were not necessarily available through the episodes themselves. Also, my VHS copy of the series recorded off TV as a child hadn’t held up very well. (They have since been replaced in favor of the Blu-ray set). Luckily, there’s a number of great promotional and behind-the-scenes photographs from back in the day that give great looks at the costumes. As with Batman, capturing how the costume fit Burt Ward was key. Jean: I am pretty obsessive about fine detail at any scale. At this size capturing all the folds, nuances and stitching of his tunic was pretty easy and fun. I love the original Robin costume, green underpants, leggings and all! The first time I saw the tunic painted with all the laces at my painter’s house I was ridiculously excited. Dan: What’s your favorite “Holy —“? Barry: I always thought “Holy uncanny photographic mental processes!” was great, especially given the circumstances behind it. Others are funny, but some are more obvious observations of the scene at hand. 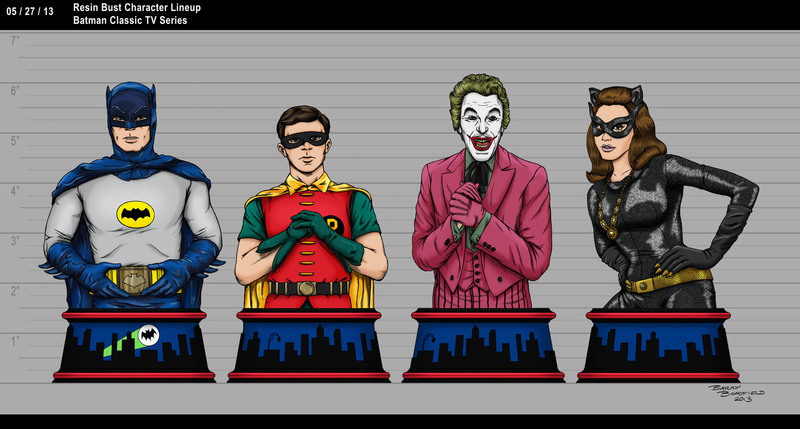 That particular one, said after Batman quickly notices missing letters from a bowl of alphabet soup, is just hilarious. Jean: “Holy Frankenstein, it’s alive!” from the King Tut episode The Spell of Tut.